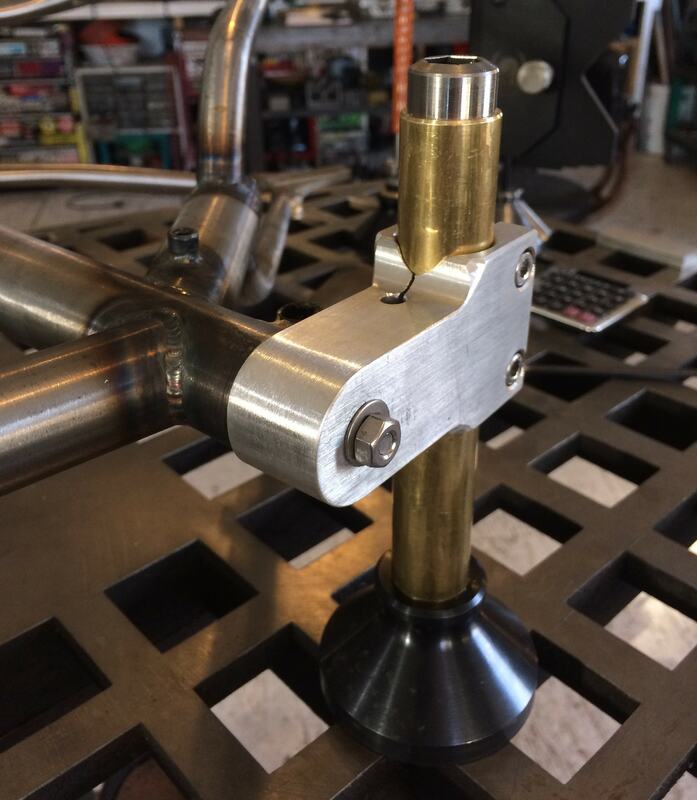 The aim of every frame builder is to create a system of tubing that aligns perfectly off of a center plane, all of the frames dimensions corresponding exactly with the components it will mesh with. 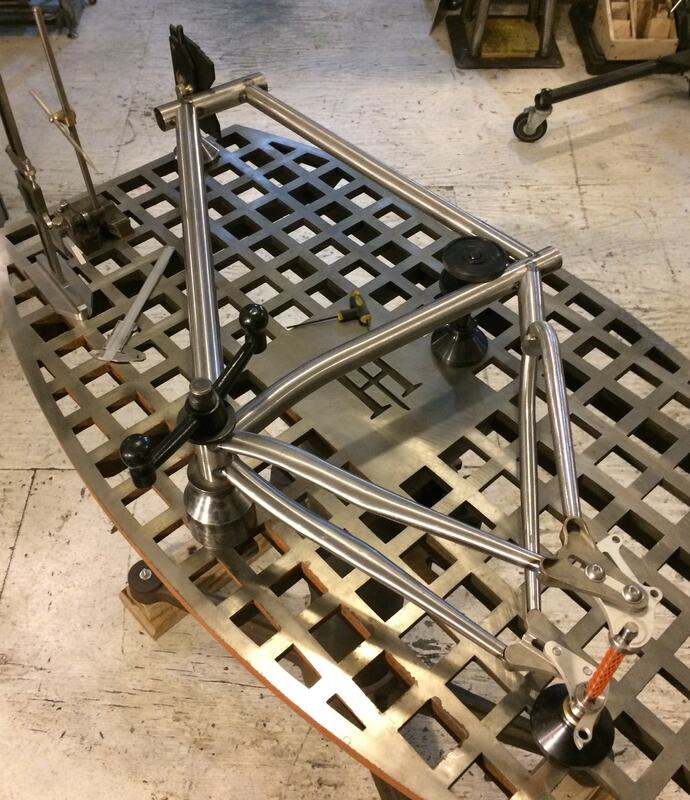 Most bicycle frames (all of mine) are joined with TIG welding and or brazing, which means HEAT. 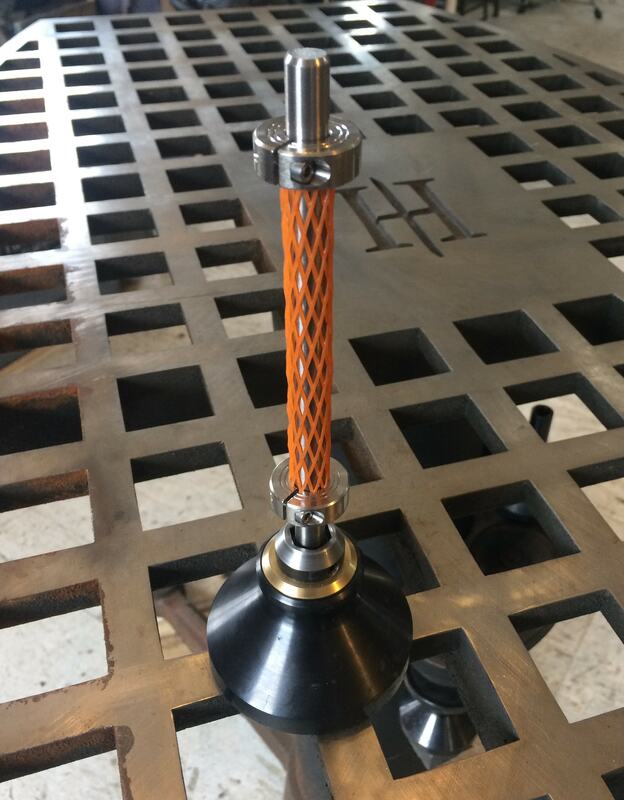 Bicycle tubing naturally shifts and flexes when heated and will stray from the desired central axis as the work is performed. 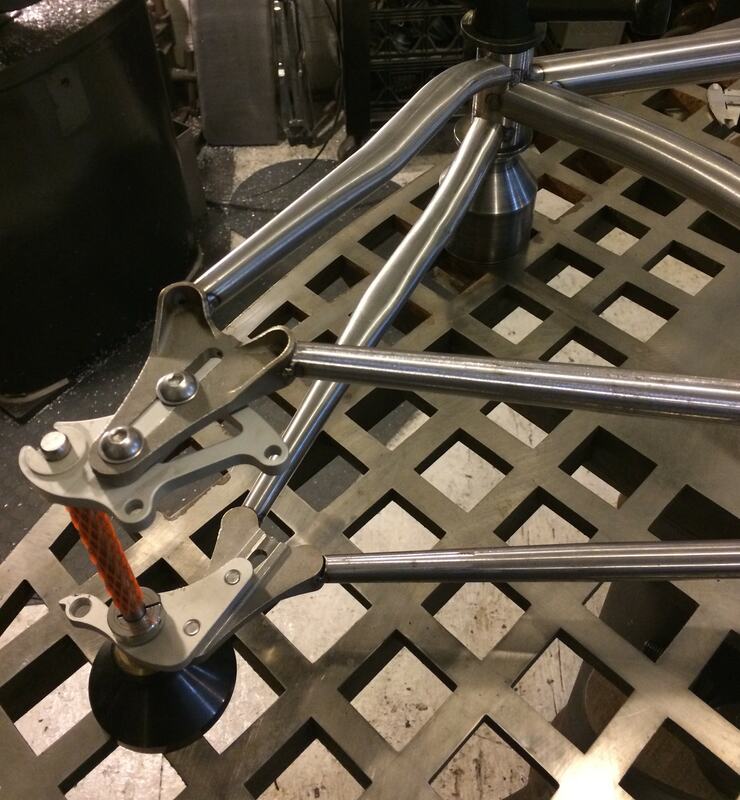 Even the most rigid of fixtures can't prevent this, their job is mostly to help arrange the parts. The one holding the torch, electric of flame, has more impact through the sequence of the assembly on the materials natural desire to push and pull towards the heat. The surface plate, and a variety of measuring and comparative tools (Metrology) are employed to check the frame along the assembly process, and to give the builder an opportunity to correct for the variation from center plane prior to and after completing the assembly process. 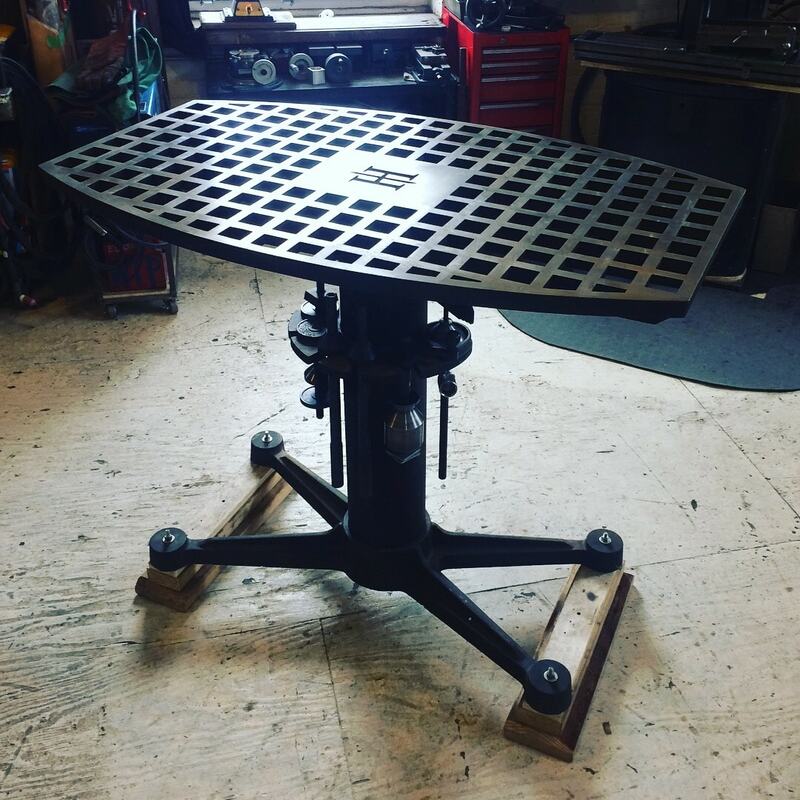 This is a LOCO Machine, Frame Inspection/ Correction Table. 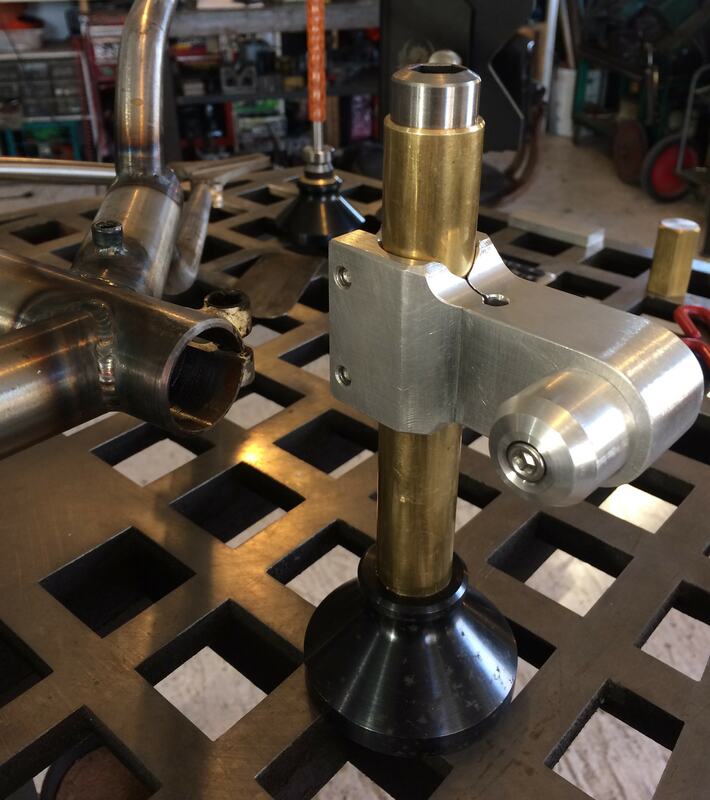 I have been modifying components that came with it and constructing a few of my own (can't help it), and use surface gauges, as well as an Imperial/ Metric height gauge to check my work, including fixture set-ups, objects produced from those set-ups, and to lay out parts that I am preparing for machining operations.